I’ve been on a mission over the last few weeks to spruce up the house and get our home ready for fall! I’ve been on the hunt for the perfect touches to add, You won’t believe where I’ve been finding the BEST deals!! I’ve partnered with Groupon to share some tips for getting your home ready for fall! Plus my favorite place to find great deals on Home Decor! Tip #1 – Add Warmth with Pillows and Throws. One of the easiest things you can do to add some fall coziness to your home! Change out the accent pillows, add some cozy throw blankets, and get ready to snuggle up! As soon as the temperature starts to dip, its time to switch out the lighter, summer weight bedding! Denser, warmer and heavier fall and winter bedding will definitely put you in the mood for fall! Go through your tool box, shed and garage and make sure your fall/winter tools are prepped and easily accessible. Move shovels and salt to the garage for easy maintenance. Make sure the leaf blower is in good working order and pull out those rakes! We don’t have a fireplace *insert sad face* but yearly maintenance, if you have one, is key! The last thing you want is a houseful of smoke the first time you light up the fireplace, or worse, for your home to catch on fire! If you love seasonal flowers, now is the time to plant those fall bulbs, before the ground freezes up! Pull out your favorite Fall home decor and go to town! Now is the time to style your mantle, add leaves and pumpkins and Everything Fall to every corner of the house! Aka My favorite time of the year! When it comes to home decor, Groupon is a great site to keep in mind! They’ve got everything from blankets and pillows to custom monograms and signs! Whatever it is you’re looking for, you’re likely to find it on Groupon.com! These tips will help you get your home ready for fall in no time flat! And then all you have to do is sit back, snuggle up, get cozy and enjoy every moment of this perfect season! Get your Home Ready for Fall with these 6 tips! #6 is definitely my favorite! How do you get your home ready for fall? Looking for even more ways to bring fall into your home? Check out these 99 Crafts and DIY projects perfect for fall! I love Groupon. You can find so many great products and services on the cheap. I have never really used them for home services, mainly beauty and family activities. I will have to check out some of their services. I need to get my home ready for the fall season. 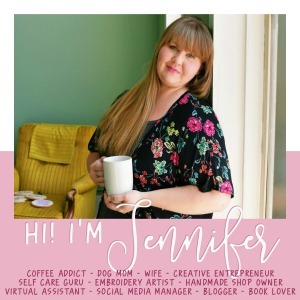 Such great tips, Jennifer! While #6 is definitely my favorite, too, we sooo need to get on the fireplace cleaning situation. Our house was vacant for four years before we moved in last spring. I’m not even sure what could be lurking in our chimney at this point! I am ready for fireplace season, but want to be super safe! Thanks for all the ideas! you forgot BUY ALL THE PUMPKIN THINGS! haha. great tips, though! Amazing blog post, really quick and fun to read! Wish I had this back when I lived on the east coast, fall was definitely my favorite season. Such great tips to try out – love love love autumn! I can’t believe Fall is already around the corner. Fall is definitely my fave season. I love adding throw pillows and cozy throws around the house. And all my pumpkins and Fall decor add so much warmth to the space, too. Groupon is such a great site and make saving easy. I am looking forward to Fall and the chance to cuddle up with a warm blanket while enjoying the crisp Fall air. I also can’t wait to enjoy the changing of leaves. LOVE groupon. WE have done so many fun things this summer with the help of groupon. I need to use it more for products. Thanks for the great ideas. So many great deals right now. Agreed, Groupon is great for things that require personalization like photo or monogrammed items. I love tinyprints for photo stationary as well. I love fall for so many different reasons! Not sure what it is about fall decor, but I just can’t can’t get enough of it. And the cozy bedding and pillows — LOVE! I also love using Groupon when I can — helps me to save so much money! I love this so much! We are in the closing process on our first home and I can’t wait to get it ready for fall and then, the holidays! It is going to be so awesome. I will definitely use some of your tips! I’m not a fan of winter so it might sound crazy, but I love when I get to change the sheets and put the nice flannel, cozy ones on the bed!!! Thanks so much for the reminder about the fireplace! We bought our house last November, and it didn’t even cross my mind that we should maintenance it in the fall before we actually need to use it! So smart! I am so excited for the crisp fall weather coming soon!